After a lengthy passage, the EU Trade Secrets Directive finally received the approval of the European Parliament on 15 April 2016. The proposed text stemmed from a joint initiative with the Council and it is therefore to be expected that the Council will formally adopt it in the month of May, although the term for transposition into the laws of the Member States is two years. The approval of the Directive has not received much coverage, as it coincided with the Data Protection Regulation which appears to arouse far greater interest. Thus, although the Directive is crucial for the promotion and defence of innovation in Europe, it seems in the end to have warranted lesser attention. And yet the poor Directive had already come in for scrutiny and criticism on the part of a range of institutions and organizations and from various social and economic quarters. I refer to the media clamour created some months ago when some sectors of the press voiced the opinion that the directive could be a means of curtailing freedom of expression, while the trade unions in turn believed that workers’ rights were in jeopardy. Governmental groups subsequently joined in, claiming reasons of state. Thus, some issues which initially had neither prompted debate nor had appeared relevant were made crucial. So, through an operation intended to satisfy all parties, the directive underwent a kind of cosmetic surgery, entailing the legislative equivalent of Botox injections and implants, to make it more attractive. 1.- It defines trade secrets in a very broad manner, including not only the information of a commercial nature but also the technical know-how. A little more care could have been taken in the use of the terminology in Spanish, but at least the scope of application is clear. It is true that shape had already been given to this concept in the TRIPS Agreement, in the successive regulations on technology transfer and in the regulation on vertical agreements. However, it is no less true that TRIPS still needs implementation at the national level and that the mentioned regulations served a different purpose. The definition provided in the Directive links up with the rest of the elements to which I shall refer below, thus creating a more or less harmonized regulation within the territory of the EU. This is something we need if we are to be on the same footing as the companies of the United States. 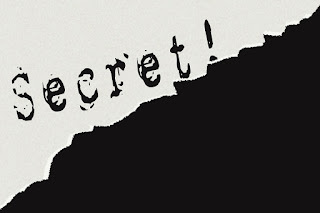 2.- Also of importance is the definition and handling of the concepts of obtaining, using and disclosing trade secrets. In the three cases the Directive distinguishes between actions which are lawful and others which are not, describing possible scenarios and setting up a framework for determining the circumstances wherein it will be considered that an offence warranting reproof and legal sanction has been committed. 3.- We have previously discussed the question of the exceptions. Although these appear throughout the legal text as a whole, a specific article is dedicated to the issue. 4.- Lastly, a series of rules is laid down to ensure, in the event of infringement, the availability of civil redress and of interim and precautionary measures, the protection of the secrets during the course of the legal proceedings, the publication of the judgment, etc. There are also considerations regarding damages, time limits for bringing actions, etc. As we have said, the Member States have 24 months in which to transpose the Directive. A certain margin of freedom is allowed within the implementation process. Some countries will barely need to adjust their existing systems. Others, such as Spain, will have to adapt them both at the substantive and the procedural level. In our country the civil law regulation relating to secrets is to be found in two articles of the Unfair Competition Act. A respected voice has advocated the removal of those articles from our unfair competition law and the creation of ad hoc provisions for the protection of trade secrets. I share this view, not only for reasons of a technical legal nature but also because I believe that the time has come for the trade secret to be elevated to the status of a true right, coexisting and frequently interacting with those pertaining to intellectual property. I would like to be able to contribute in some way to the dissemination and promotion of the concept of trade secrets, which I feel is little known but very useful. In subsequent chapters I shall speak of the importance of such secrets, as compared with other IP rights, to industry, of the special significance they have for small and medium-sized companies working in the area of innovation, of their complementary and symbiotic relationship with patents, and of how to implement a logical and programmed system for the protection of secrets within the company, while also addressing other issues of interest. We are thus commencing what is to be a series of blog entries on this subject, in the hope that they will prove useful to the innovative community.